Herndon, VA — (November 1, 2017) Volkswagen of America, Inc. (VWoA) today reported sales of 27,732 units delivered in October 2017, an 11.9 percent increase over October 2016. With 280,188 units delivered year-to-date in 2017, the company is reporting an increase of 9.4 percent in year-over-year sales. SUVs accounted for more than 32 percent of total volume for the Volkswagen brand. 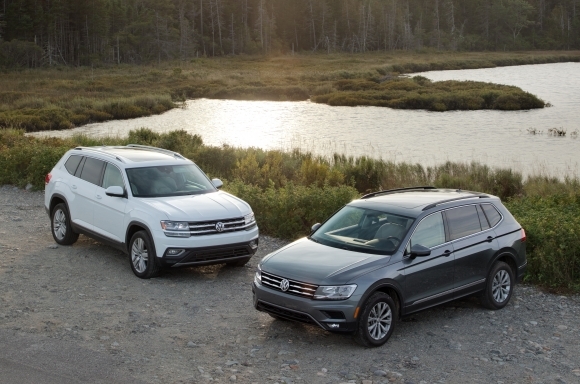 The Chattanooga-built Atlas delivered 3,664 units, while the 2018 Tiguan delivered 3,848 units. Sales of the core Jetta model were impressive, with 9,217 units delivered, an increase of 14.2 percent. This marks the best October for the Jetta since 2014. PRESS RELEASE: VOLKSWAGEN ATLAS NAMED CARS.COM'S "BEST 3-ROW SUV OF 2017"
Founded in 1955, Volkswagen of America, Inc., an operating unit of Volkswagen Group of America, Inc. (VWoA) is headquartered in Herndon, Virginia. It is a subsidiary of Volkswagen AG, headquartered in Wolfsburg, Germany. VWoA’s operations in the United States include research and development, parts and vehicle processing, parts distribution centers, sales, marketing and service offices, financial service centers, and its state -of-the- art manufacturing facility in Chattanooga, Tennessee. The Volkswagen Group is one of the world's largest producers of passenger cars and Europe's largest automaker. VWoA sells the Atlas, Beetle, Beetle Convertible, CC, e-Golf, Golf, Golf Alltrack, Golf GTI, Golf R, Golf SportWagen, Jetta, Passat, Tiguan, Tiguan Limited and Touareg vehicles through more than 650 independent U.S. dealers. Visit Volkswagen of America online at www.vw.com or media.vw.com to learn more.